The following essay is featured in the full prospectus that supports the IGG campaign to help fund publication. Only eight days left! So far, I’ve received overwhelmingly positive response to this initiative. But there have been some strong objections that I take seriously, and would like to respond to. 1. This project will scare people away from yoga. This is possible, but unlikely. Most readers of this book will be stakeholders in the culture who may not agree with all of my findings, but will be none- theless eager to engage the issues that I raise. In the end, a call for greater honesty and sensitivity in how we approach the mat as students and teachers will actually be an encouragement to the richness of practice. I also think that the culture is strong enough to withstand robust examination and critique that digs beneath the advertising. 2. Injuries in yoga don’t make sense. If it hurts you, it’s not yoga. This is useless pap, and cruel to boot, often deployed to either minimize or dismiss injury stories, or to blame the victim. It attacks the integrity and intelligence of so many people who have practiced in good faith. The resounding fact is that that there are many, many yoga practitioners who have been injured by working with mindfulness, according to the instructions they’ve received from sources they believe to be reputable. 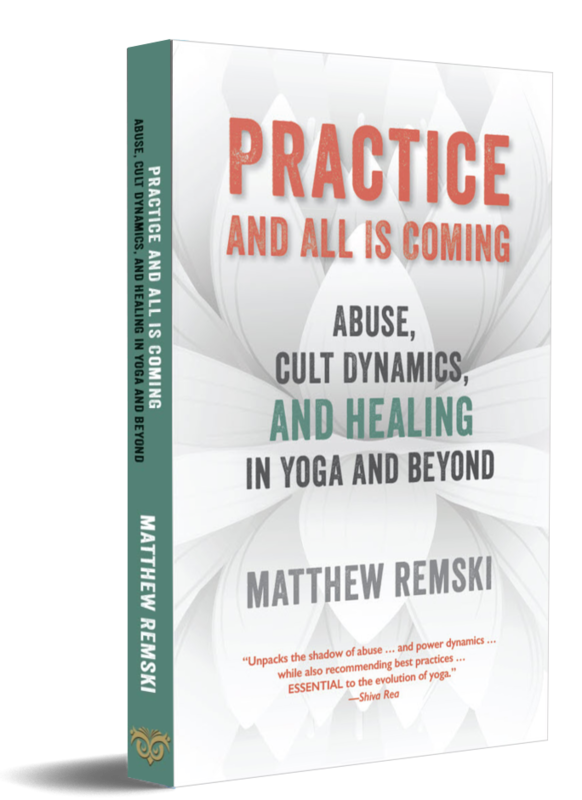 Not only that: there are many streams of yoga that acknowledge pain as a necessary and even desirable mechanism of practice. 3. William Broad tried to debunk yoga, and that’s what you’re trying to do. I realize that Broad’s work in The Science of Yoga casts a shadow upon my own—but no. Broad mainly wanted to review the scientific literature concerning the health claims made since the days of Swami Kuvalyananda (1883–1966) and others. He did a solid job with this, in my opinion. My only real overlap with his work is in the broad themes of this history: how Hatha was ordained “therapeutic” through the complex interactions of scientization and anti-colonial politics. One criticism leveled at Broad’s work is that it failed to cross-reference yoga-related injuries with other categories of injury, and so made the former appear inflated. For me, there’s no question that yoga injuries are fewer in number than tennis or jogging injuries. But this is not the point. I’m focused on promises and expectations. No one plays tennis or gets into gymnastics or modern dance lured by the promise of therapeutic benefit. Yet this is the golden carrot of yoga promotion, from Krishnamacharya through Sivananda and beyond. My project investigates the gaps between the promise and the reality, along with all of the psychological and sociological baggage that contribute to injury. So my scope is quite different from Broad’s. 4. You’re out to backstab particular lineages and teachers, and cause people to lose faith in their practice. I’ll address the second part first. I absolutely want to challenge some usages of faith in yoga. While it’s true that faith may be an essential part of whatever placebo effect yoga may have, it also can distort our relationships to knowledge, authority, and even the voices of our bodies in pain. I think the most mature relationship to faith is existential, i.e., that it is reasonable and good to have faith that working patiently and intelligently at any develop- mental process will yield good results, and is in fact its own good result. This would be opposed to faith that a given practice or teacher has answers we cannot understand and therefore should not ques- tion. The faithful attitude gets people into trouble when they use it not as a support to a generally positive attitude, but to pretend to know what’s absolutely true or best for them or others. As for the rest: I try to be an equal-opportunity analyst and critic. What may appear to look biased from the outset comes from the simple fact that there are dominant forms and teachers in MPY, and one really can’t avoid naming them when speaking about how and where people get injured. In my blogging support for this project so far, I have openly or implicitly criticized the Anusara, Ashtanga, and Iyengar systems, which together represent a large swath of global asana-intensive yoga practice. The injury stories emerging from these systems also reveal psychologies that are problematic, and I’ll be contrasting these with lineages—or more often, the methods of former teachers within these very systems that have now gone independent—that seem to be more protective of bodily health. These magnets for critique beg a deeper question. Why have these forms of practice become dominant? Why have we, as a culture, preferred methodologies in which injury seems to be a reg- ular casualty of therapeutic ideals? Through their popularity alone, these lineages serve as a window into collective desires and motivations. What they espouse becomes a mirror for what many seem to be seeking from yoga. In all cases I will avoid the black-and-white position that suggests that if teachers and lineages are not all good, they must be all bad. We learn and grow through a mixture of positive and negative influences. 5. Your interview subjects are self-selected for injury. Where are all the good stories? This is a valid concern. I did not initiate the project with a randomized sample, but with a particular call for stories of injury. The premise that many people are getting injured in yoga practice and we’re not talking about it enough has been my starting point, and forms a definite bias. My initial impulse was to follow up on the seven years of anecdotal evidence that I’d accumulated over the course of my career as a yoga teacher, community organizer, and Ayurvedic therapist in Toronto. (I recount the fuller version of this story on the WAWADIA resource page.) It had seemed to me that injuries were common, yet rarely discussed openly, especially when they involved teacher-stu- dent interactions, or pain resulting from postures claimed to be therapeutic, such as headstand and shoulderstand. The wish to understand injury contexts was the driving impetus behind this project, and my findings will reflect that interest. I do hope, how- ever, that the reader will be able to look through the concentration on injury to glean general lessons about the confusing pathways of embodied self-inquiry, and how innovative we can be when we engage it fully. My study cannot claim to be definitive of the culture or representative of all of its practitioners. All of my analysis will be mindful of this fact. And actually, there are many good stories. Virtually all of my interview subjects have turned their pain—whether caused by overexertion, poor instruction, invasive adjustments or even ambiva- lence to pain itself—into sources of self-inquiry and sometimes community activism. Many have gone on to create more balanced and thoughtful forms of practice for themselves and their students. In the process, they are slowly transforming the face of MPY. Our current fascinations with biomechanics, trauma recovery, non-violent communication, and anti-authoritarianism all arise, in my view, from this maturation process. It seems the reduction of Yoga (and even the entire Dharmic tradition) into posture practise was bound to lead to an overemphasis such that the more extreme the posture the more the teacher/practitioner was implicitly given a seat on the pedestal. There came to be a race to learn and teach more extreme versions of postures. Postures became the measure of success and failure in Yoga rather than being understood as entirely optional, for the goal of Yoga has nothing whatsoever to do with striving for posture “perfection”. Indeed, what are we doing? I look forward to your report, Matthew.